We’re starting to gear up for our return to California for the brand new, first-ever Stitches SoCal. <—-follow the link for all the details! Just my luck that XRX finally offers a SoCal show the very same year I move to the opposite coast! But that just makes things even more exciting for us. A Stitches Show AND a return home for a much-needed visit. You will find us in booths 731-733 and we have all sorts of amazing things going on to bring you all the way back to our corner of the marketplace. Who loves to win prizes? 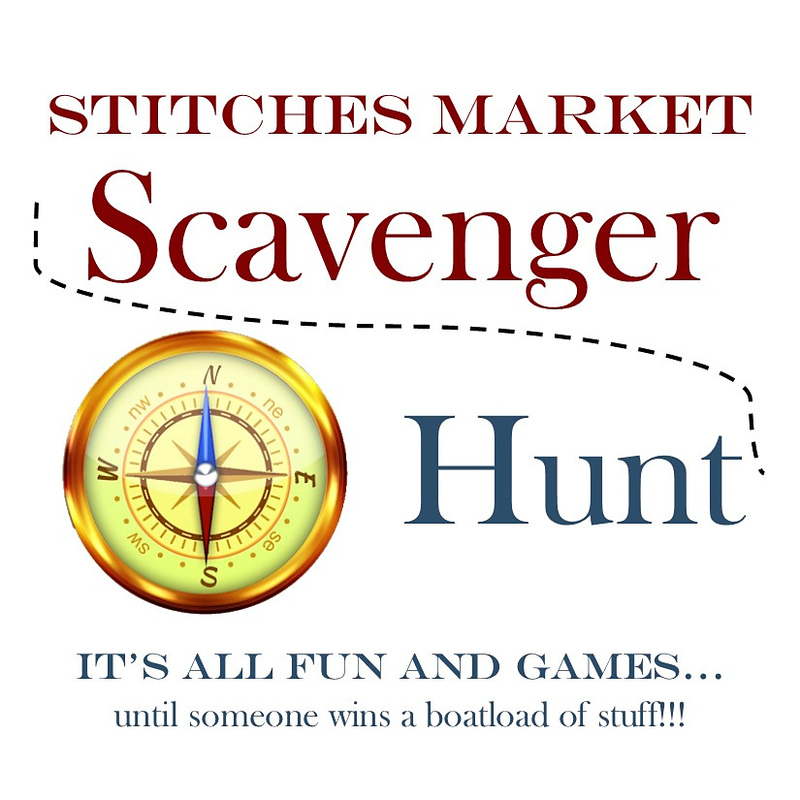 With the Stitches Market Scavenger Hunt you can earn chances to win prizes from all participating vendors each day! A few of us vendors brainstormed for a way to reward attendees who take a couple of minutes to look at the gorgeous things we have made and brought to Stitches. We wanted it to be fun and fast. Thus the Stitches Scavenger Hunt was born! Each vendor has contributed 1 or 2 prizes! That adds up to a lot of prizes to be won over the weekend! Download any QR code reader on your phone. Answer any questions that pop up when you scan the code. You are entered for a chance to win! The prize collection is huge! Every vendor on this page contributed either some fabulous merchandise, or gift certificates. Some even gave both! Can I enter more than once? at each vendor? Yes, each day there you can scan the QR code at each vendor and it will register another entry! The more entries, the higher your odds of winning! Do I have to visit every vendor on the list? No, just scanning one code gets you entered. Do I have to be present to win? No, you don’t need to be here. The vendor you won your prize from can mail your prize. It’s much more fun to pick up or select your prize in person, though! How and when are prizes awarded? There will be prizes awarded all weekend long. Prize winners will be sent an e-mail with the name of the booth they won a prize from. How fun to go on this scavenger hunt, see great yarn and yarny things and meet yarny people! I am in!